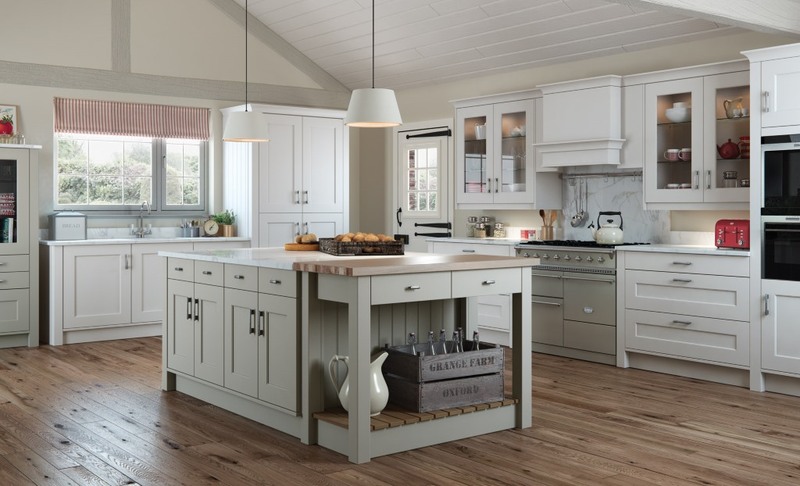 The Florence shaker kitchen features an internal beading on the centre panel which gives a fresh element to the shaker style. 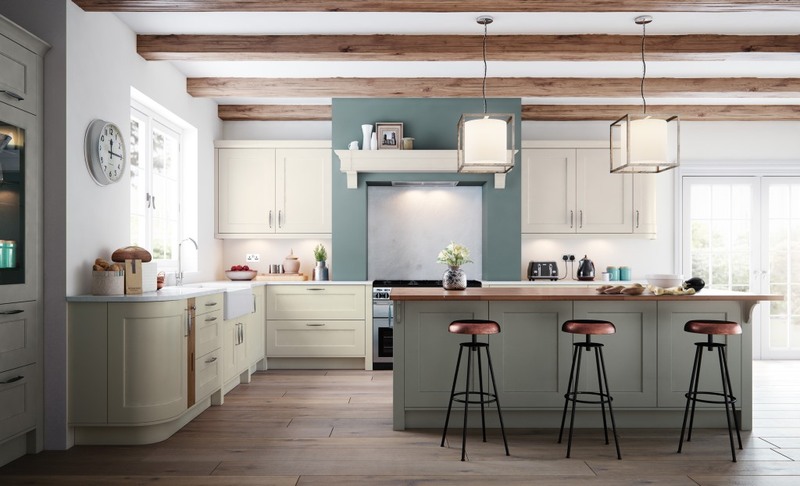 The Florence is available in four smooth painted finishes which look great combined, as shown below, to create stunning and stylish designs. The porcelain finish is shown here with the kitchen units against the wall, with the stone finish in the island. 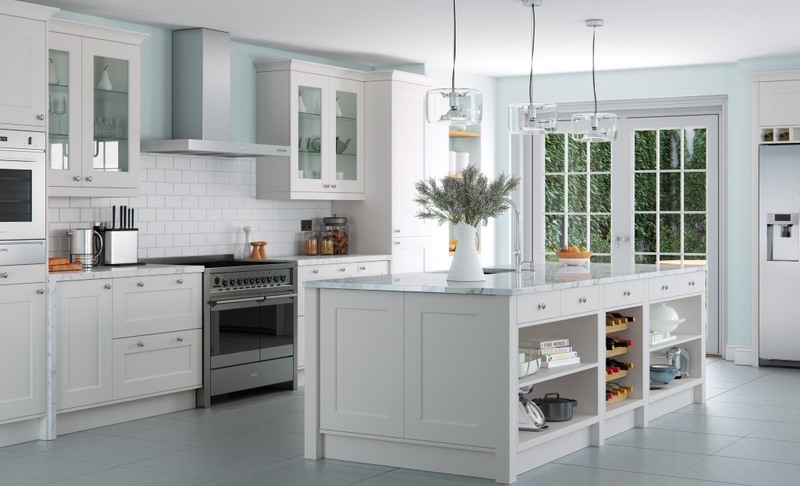 The Florence stone is displayed here on the island kitchen units, with porcelain finish on the wall units.